British hardwoods are among the most beautiful in the world and a solid hardwood floor is the perfect showcase for their unique qualities. 100% solid British grown hardwood, the floor boards are both hard-wearing and long-lasting. Our hardwood flooring is made from trees that have been sustainably managed within the British Isles. The majority of the timber used in the production of the flooring comes from woodlands within a 100-mile radius of our sawmills in Wiltshire. Oak remains the most popular wood species for flooring. 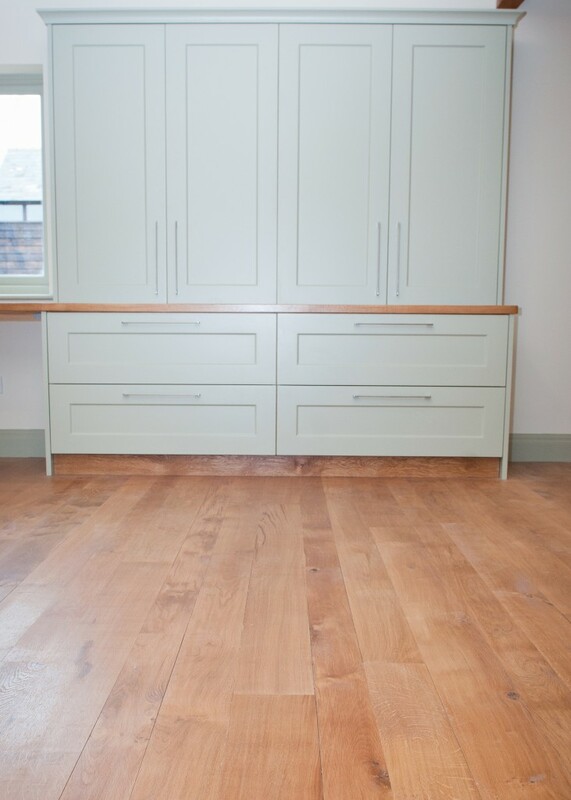 Oak is beautiful and at the same time tough, making it the ideal for almost all flooring areas. In our opinion English oak is the most attractive grown anywhere in the world. With pips, burrs, swirling grain and brown streaks, English oak flooring creates the ultimate wow factor. 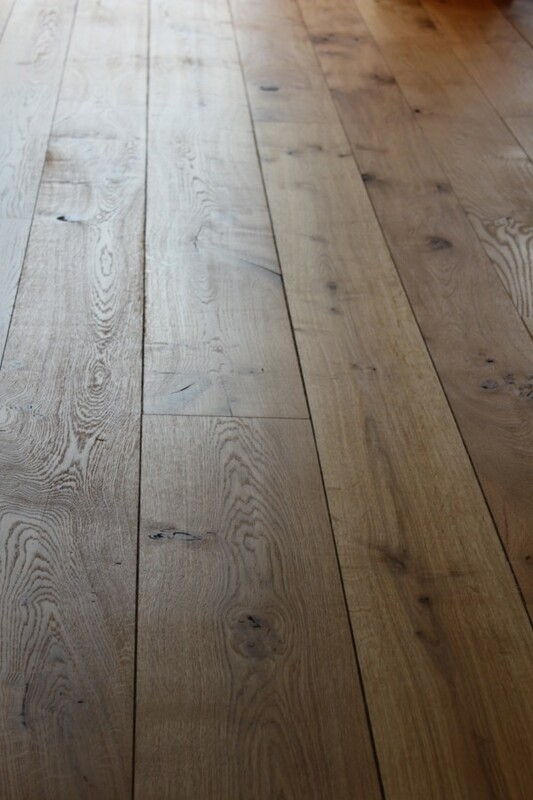 As well as oak we manufacture solid flooring from other native species including, ash, elm, sweet chestnut and cherry. The light airy appearance of ash flooring is now very popular and is often used in bedrooms where the foot traffic is lighter. Character and barn grade elm in wider widths creates a spectacular floor, the beauty of which we believe is unrivalled. Our range of solid hardwood flooring is supplied in a traditional mixed width format with each floor comprising of three widths. The board widths are designed to be laid randomly to create a natural looking floor with a less manufactured look than many of fixed width floors available on the market. Sanded and sealed. Floor boards are machined with a tongue and groove profile on the long edges but with no bevelled corners or end joints. To see the full range of our hardwoods, come and visit our beautiful new oak framed showroom at Wootton Bassett, Swindon, where we display all of our hardwood floors as well as many other products. If, however, you are unable to visit us, please browse through the product pages for pictures, specifications and prices which we hope will provide you with all the information you may require. We have a large range of flooring in stock for immediate collection or delivery, but please allow two to three weeks for the wide board specifications. We also supply skirting and architraves to match your choice of floor. For solid hardwood flooring prices click here. If you are intending to fit your wooden floor over under floor heating or you are looking for a pre-finished floor you may be interested in our range of engineered oak flooring.